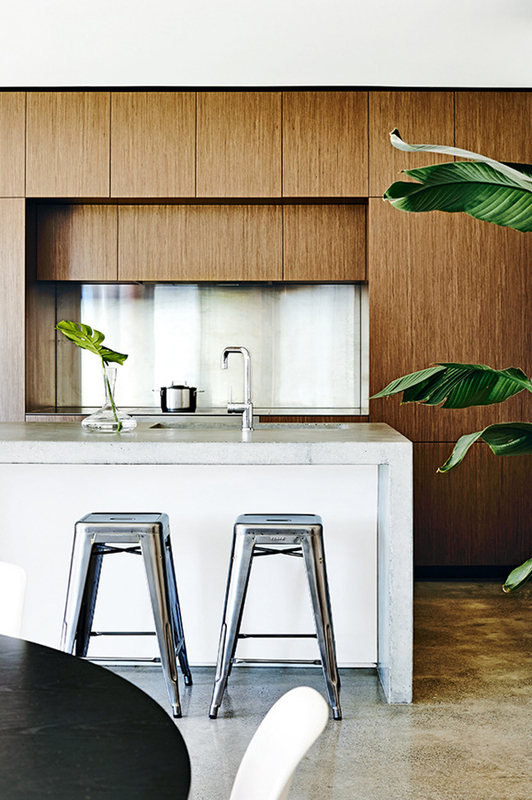 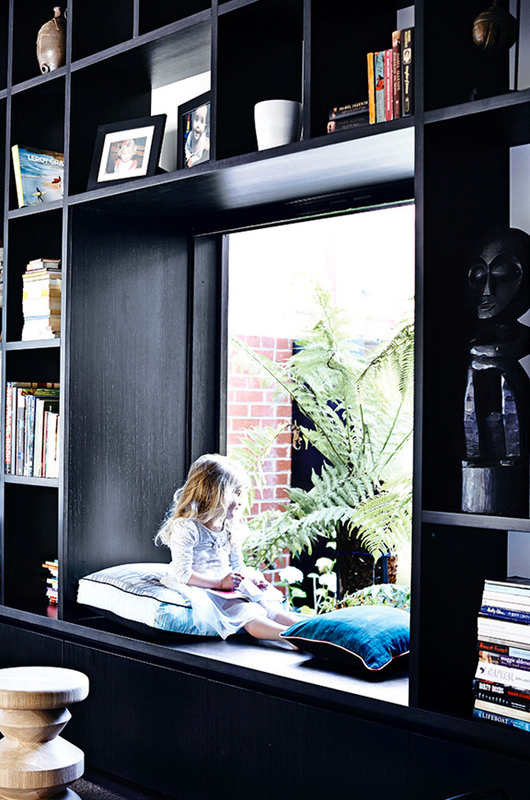 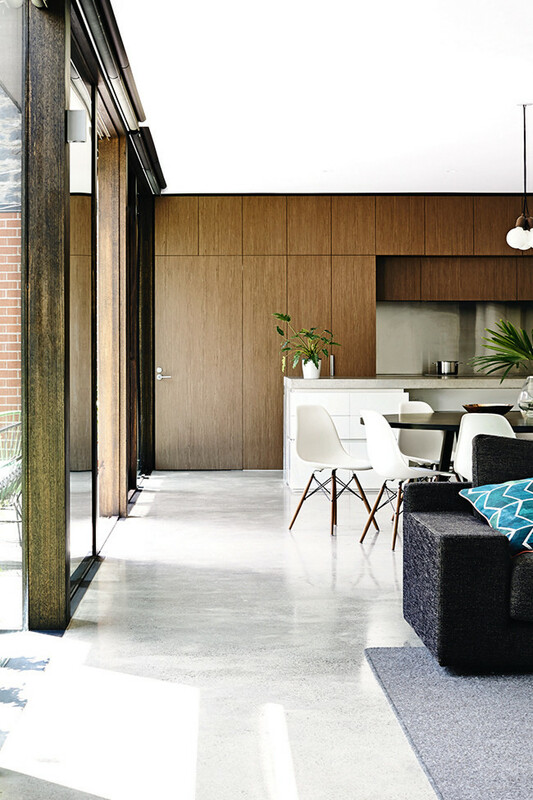 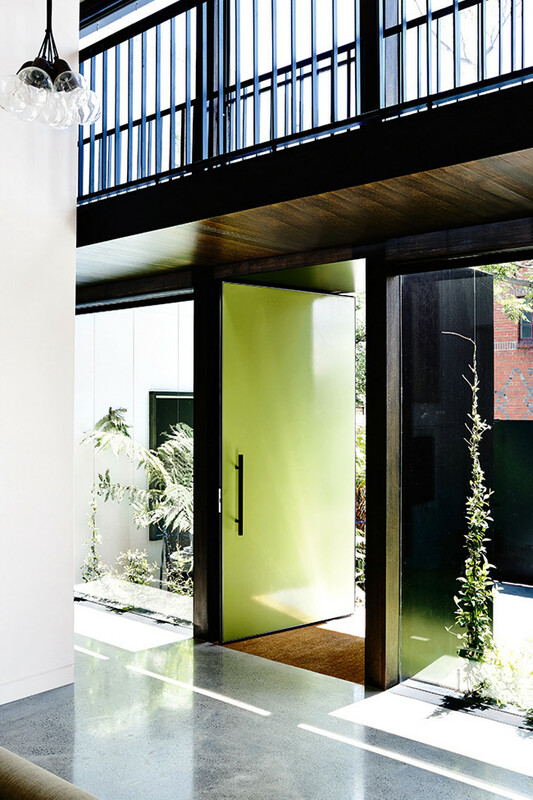 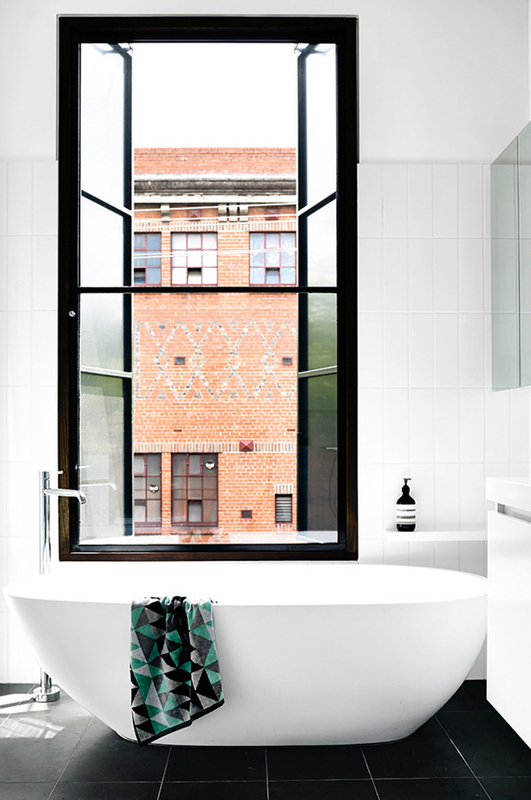 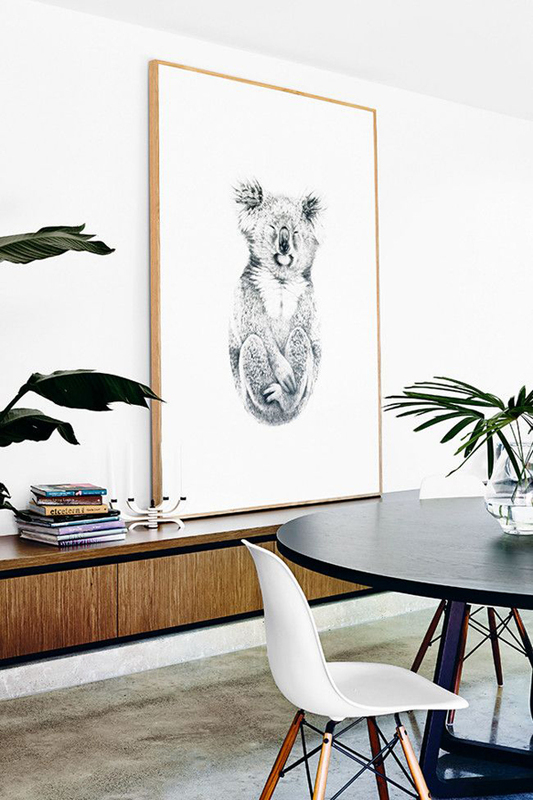 This beautiful contemporary house in the inner-city of Melbourne, Australia used to be an old pub, but nowadays it is the four-bedroom family home of Elise Elliot, a television and newspaper journalist; her husband Tom, host of 3AW’s Drive program; their daughter Ava, and Goldie, Blackie and Nemo the goldfish. 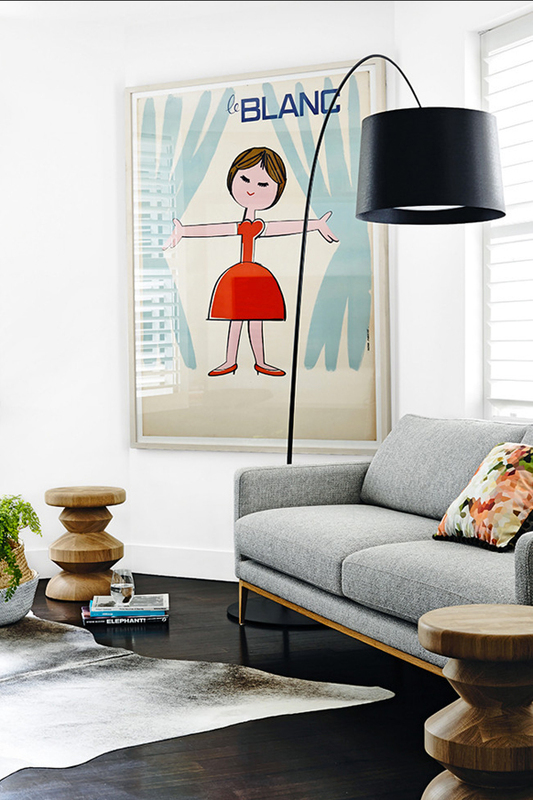 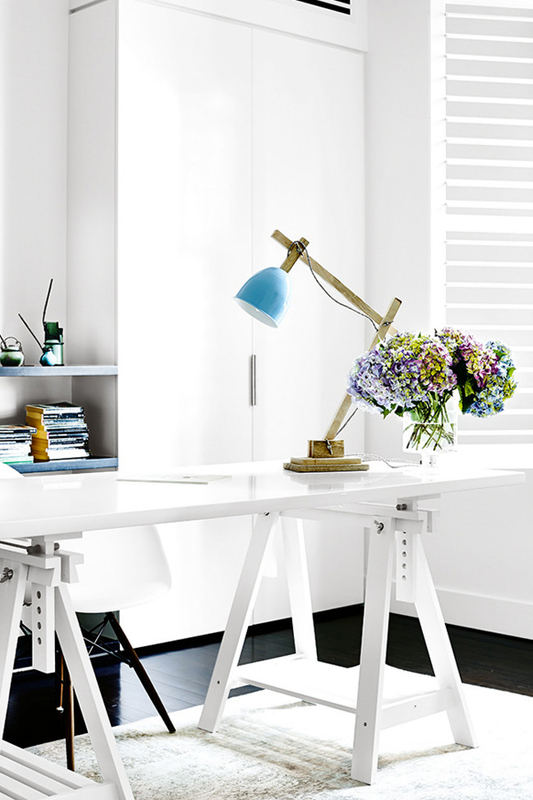 Although the interior is thoroughly modern, it is still very welcoming, friendly and homey. 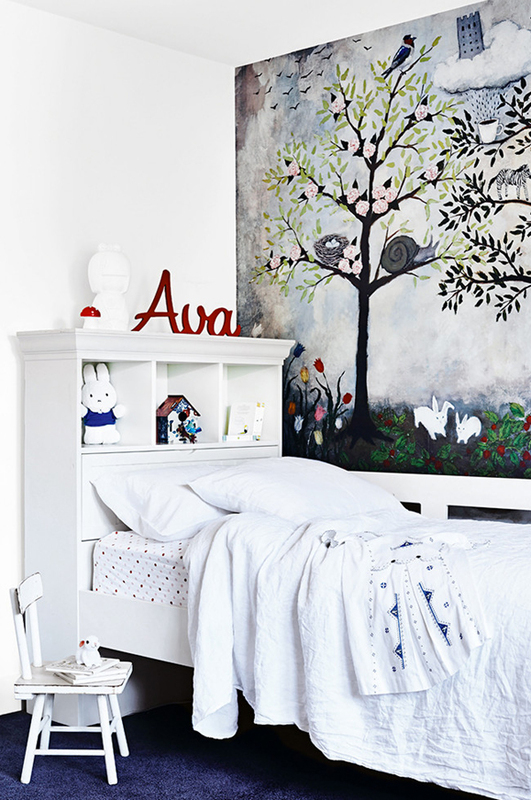 Thanks to the various works of art in the house, each room has a strong, specific character.